For the moment we only accept online payment with paypal. Thanks to use the "Donate now" button above. 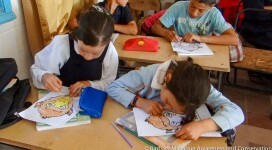 An important part of BMAC’s work is running education initiatives for children and adults. See below for examples, or download our resources here. 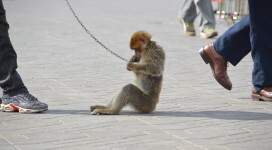 In May 2015, we commenced the BMAC Ambassadors programme, an initiative to recruit, train and equip volunteer groups in Marrakech and other major cities in Morocco, enabling them to raise awareness about Barbary macaques and discourage exploitation of the species by the people most likely to desire one as a pet. 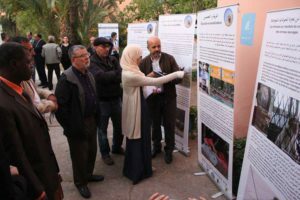 Events run by our Ambassadors so far include presentations at the Natural History Museum in Marrakech, visits to village schools and many other outreach activities. In addition to our Moroccan Ambassadors, we have nine international Ambassadors from five different countries. 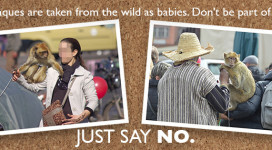 These Ambassadors, most of whom work for zoos or wildlife parks, aid us in awareness-raising and fundraising, and are also very active in spreading our campaign information on social media. 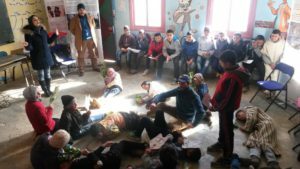 We created a teachers’ pack, tailored to the knowledge, interests and culture of school children in the area around Bouhachem. The packs are given to teachers in every school we visit, and cover a wide range of information about conservation and wildlife. They also include activities such as finger puppets, masks and ideas for games, to make learning about conservation experiential and fun. We have some beautiful infographics about Barbary macaques to share with school pupils in Morocco and all our followers online. 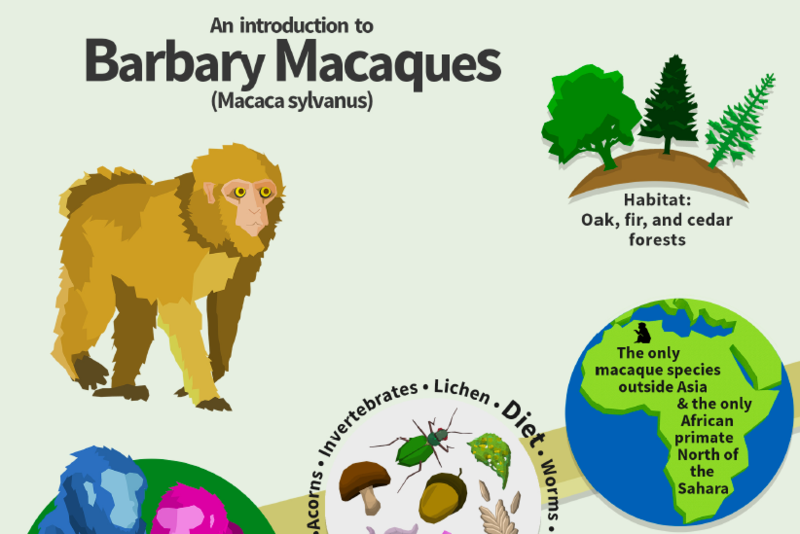 These are available in French and English, and are easy and eye-catching to share online so that friends of our followers can access quick, easy to digest information about Barbary macaques and their conservation. BMAC staff educated ~95 children from all over Morocco about the Endangered Barbary macaque. 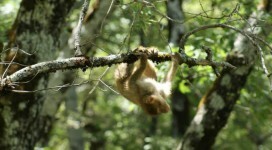 Using video, informative panels and a presentation, the children learned about the macaques’ life in the forest. They then coloured in a drawing of some macaques which is available from Primate Education Network’s resource page. We would like to thank Khalid Marbou and his team, The Moroccan Scientific Community, for inviting us to take part in this important initiative and for assisting the BMAC team to get our message across. 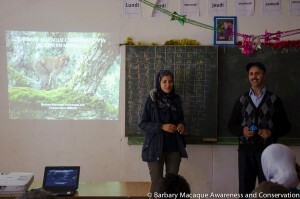 The team visited Taliamine school so that Kenza could lead a lesson and activities about Barbary macaque conservation. 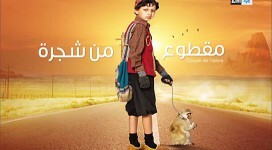 It was the first time Kenza had given this particular presentation in a school, and the class really enjoyed it. After helping them make monkey masks, we also played a new game in which the children played the parts of trees and forest animals to help them understand why deforestation has such a negative impact on wildlife and people. Huge thanks to the teachers and the Director of Schools for hosting us. An important part of BMAC’s work concern education initiatives for children and adults.